Horrifying New Entry in the Young Adult Mystery Genre | Ooh Something Shiny! Any high school senior will attest to this. 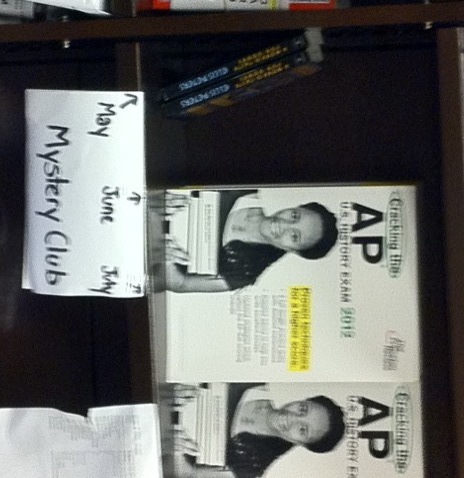 Sorry the image is so blurry, but the cashier at Barnes & Noble already thought I was insane. Fun idea for Barnes & Noble: pick up 50 Shades of Grey and reenact Meg Ryan’s diner scene in When Harry Met Sally.